Sunny Farms Landfill, Fostoria Ohio. Tunnel Hill owner faces odor complaints, renewal license denial. Following odor complaints that stem back to 2013, the Seneca County Board of Health in March voted on the “intent to deny” a renewal license for Sunny Farms Landfill, a 670-acre site in Fostoria, Ohio, owned by Stamford, Connecticut-based Tunnel Hill Partners. Waste Today spoke with Matthew Neely, senior vice president, Tunnel Hill, and Dina Pierce, coordinator, Northwest and Southwest Districts, Ohio EPA, about the timeline of the odor complaints and the capital investments Tunnel Hill, recently acquired by Macquarie Infrastructure Partners, New York City, is making to improve operations and eliminate odors at Sunny Farms. “During the last several months, Sunny Farms has invested more than $4 million in new technology, new equipment and new processes to reduce hydrogen sulfide" gasses, Neely says. Established in 1970, Sunny Farms Landfill primarily accepts construction and demolition materials from commercial and residential construction projects. Hydrogen sulfide gas is generated when "high volumes" of drywall decompose at the landfill, Pierce explains. The board of health is responsible for issuing licenses to Sunny Farms, as well as performing inspections and initiating enforcement actions when owners and operators fail to comply with environmental laws. Ohio EPA conducts a survey of the approved board of health annually, Pierce says. January, Ohio EPA issued orders to Sunny Farms, requiring the landfill to take several actions to reduce odors, with deadlines for each action. Orders includ installing an odor control blanket (OCB) by April 30, as well as additional gas wells and gas extraction infrastructure. March, Sunny Farms missed a “key deadline” of covering soil over a portion of the landfill, Pierce says. Ohio EPA issued the landfill a notice of violation and refereed the case to the Ohio Attorney General’s Office, she says. Enhanced landfill gas collection, a capping project and a wastewater treatment system to remove hydrogen sulfide gasses from landfill wastewater are underway at Sunny Farms, Neely says. The hydrogen sulfide treatment system is “designed specifically to control hydrogen sulfide gases.” Installed in December, the system consists of six vacuum boxes that capture hydrogen sulfide from extracted landfill gas. “The system is operational and is effectively collecting and removing hydrogen sulfide,” Neely says. Sunny Farms also recently expanded its gas collection system on the southern portion of the landfill, doubling the number of gas collection wells to 26 and the number of horizontal collector pipes to 27. An additional 21 gas collectors and a vacuum piping network were installed beginning of March. Neely adds a pilot wastewater treatment system to remove hydrogen sulfide was built in 2018 and “proved very successful.” Sunny Farms plans to build a permanent, full-scale system after regulatory approval, he says. Sunny Farms maintains an odor complaint hotline, which received 276 odor complaints between October and December 2018. Sunny Farms has installed permanent monitors to test for hydrogen sulfide levels and provides weekly reports to Ohio EPA and the health board, which includes detection levels from each reading. Neely says Sunny Farms is observing "much lower and fewer occurrences of hydrogen sulfide" from the daily measurements. “Our agreement with the Ohio EPA includes monitoring standards that are substantially more stringent than requirements for many other landfills in Ohio and nationally,” Neely says. If the county health board denies the annual license, and the landfill loses on appeal, the facility will have to cease operations, Pierce says. Polyethylene and polypropylene waxes by GreenMantra Technologies. 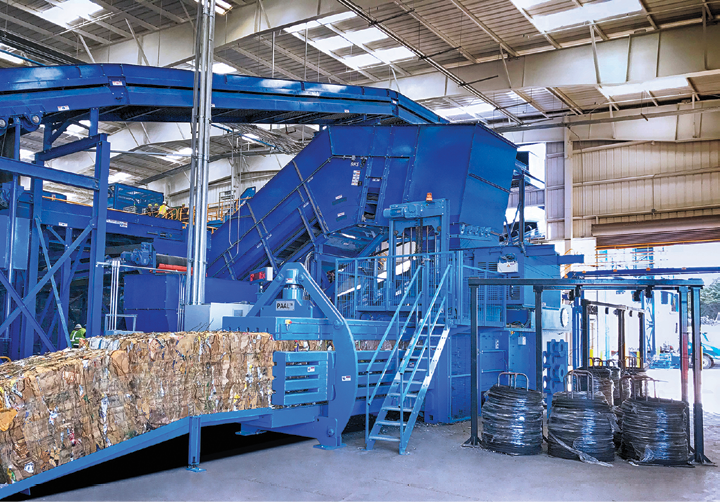 Closed Loop Partners’ report surveys 60 technology providers, calls for investments and collaboration to accelerate plastics recycling technology. Almost 90 percent or 34 million tons of plastic scrap is sent to landfills or incinerated each year in the U.S. and Canada, yet the demand for recycled plastic is strong and growing, partly, because global brands, retailers and plastics manufacturers are committed to using more recycled plastics to make new products. Through the recently released report “Accelerating Circular Supply Chains for Plastics,” Closed Loop Partners surveyed 60 up-and-coming technology providers in the U.S. and Canada. The report aims to identify opportunities for brands, manufacturers and industry to collaborate and invest in the companies to accelerate advanced recycling technologies, which can convert post-consumer plastic into raw materials. Ellen Martin, vice president, impact and strategic initiatives, Closed Loop Partners, and Kate Daly, executive director, Center for the Circular Economy, Closed Loop Partners, revealed the key findings of the report, which was a culmination of "months of research and interviews," during a press call April 9. Understanding that "plastics are everywhere" and "every sector of society is engaged today in the broader challenges of climate change and the physical problem” of plastic scrap, Closed Loop embarked on the project to “learn more about established and emerging technologies" and their potential role to transform markets and end plastic scrap in the U.S. and Canada, Daly said during the call. “This report is the first step in an ongoing effort to shape investment strategies and infrastructure over the next 5 to 10 years," she said. 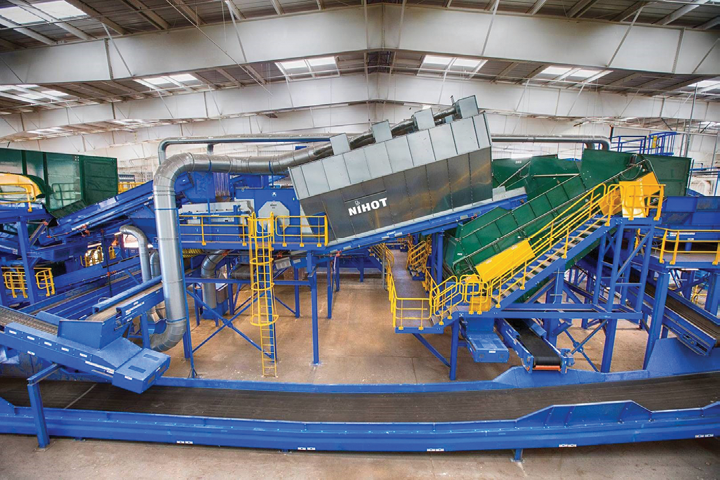 PureCycle Technologies, Chicago; Agilyx Corp., Tigard, Oregon; and GreenMantra Technologies, Brantford, Ontario, are a few of the companies that are converting different types of plastic scrap, such as polystyrene and PET, into pellets to make new products. Their processes use purification, decomposition and conversion technologies, also known in the industry as chemical recycling, that change the molecular form so "plastics can be recycled into plastics," Martin explained. 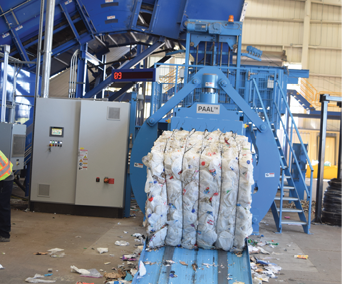 Demand for recycled plastic outweighs the supply, and the study predicts the demand for recycled plastic will increase to 5 to 7.5 million metric tons by 2030. "The technology exists, but the question for us is how fast and how far can we go to apply these technologies in the existing infrastructure," Martin said. The first key finding of the study is that technologies that “keep plastics at play” must be part of the solution to end plastics pollution. Though many of the 60 technology providers surveyed are in "early stages of securing the capital they need," more than 40 are operating or will operate commercial plants in the U.S. and Canada in the next two years, the report reveals. In addition, about 250 investors and strategic partners are engaging with the technology providers, but it became clear to Closed Loop that "there's a lot of work still to be done to address all these challenges," Daly said. It took the 60 companies an average of 17 years to reach growth scale and "that's not fast enough given the volume of plastic waste we need to address," she added. "More investment is needed now in order to accelerate these solutions and to take it from possible to probable." The study aims to build a road map to understand the next steps that need to be taken to accelerate the technology into today's recycling infrastructure and industry and to inform investment strategies over the next few years. The study concludes that investments from brands, manufacturers and industry are "critical" to bring the conversion technologies to commercial scale to meet the demand, Daly said. Education and increasing awareness about the terminology around chemical recycling is also important to appeal and be "more accessible to a wider audience." The analysis also urges brands and industry to develop partnerships with technology providers to create new business models that will "match the current technologies with the existing infrastructure of plastics and petrochemical manufacturing, waste management and recycling." "We need to stop thinking of plastics as waste and start treating it as the resource it is," Daly said.